#SaintPetersburg. #StPetersburg. #SanktPeterburg. #Stpete. #StPetersburgTours. #StPetersburgTravel. #StPetersburgTourGuide. 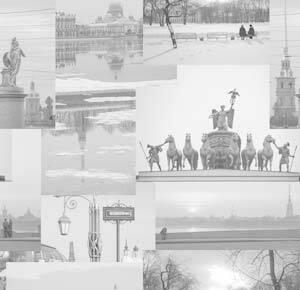 #StPetersburgGuide. #BalticCruises. #PrivateTourGuide. #SpbTours. #FamilyTravel. St Petersburg excursions. Private guide St Petersburg Russia. St Petersburg Russia tours english. Private Tours in St Petersburg Russia. St Petersburg private excursions. day tours from St Petersburg Russia. Tour guide Saint Petersburg Russia. Tours of St Petersburg. Tours in St petersburg Russia. St Petersburg guided tours. spb tours St Petersburg. Tour companies of St Petersburg Russia. St Petersburg tour companies. Tours St Petersburg. Our St Petersburg cruise tours. Welcome to our website! Welcome to St. Petersburg! Welcome to Russia! We are pleased to offer you a range of private tours in St Petersburg Russia, group tours, open mini group tours, tailor-made itineraries, shore excursions in St. Petersburg and Moscow as well as excursions to small ancient Russian towns and shore excursions in Baltic ports, and many other services. A special feature of our company is the highest level of guiding service. We are committed to quality and proud that best of the best professional guides work in our team. 5-star level of service for everyone is our credo, and we do whatever is possible to turn it into reality. Hello! 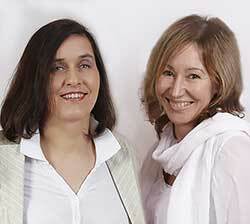 We are Anna Avdeyeva and Masha Vankova, founders and owners of the Best Guides Company. We both graduated from St. Petersburg State University. Surprisingly our initial background was biology. Yet because of Perestroyka (the global changes in our country) very soon we gave up Biology and started working as private tour guides. We had different ways to this profession and different reasons to become professional licensed guides, but both of us enjoyed it a lot and we both consider guiding to be the most interesting, creative and exciting profession. We have been working as independent tour guides for about 15 years and in 2011 we decided to join and to start our own tour company in which our best friends – guides with whom we had been working for so many years – will work. From the very beginning, we had an idea to bring together the best St Petersburg tour guides in one team and to maintain the highest level of guiding. That's why the name "Best Guides" was chosen. We consider our guides to be the best. We know this profession from inside and we know how hard they have to work to be the best. We appreciate their work and we are very proud of them. All our guides are very creative, intellectual, knowledgeable and artistic and all of them are real stars. We enjoy working with them a lot and consider ourselves to be extremely lucky to work with such a team. "Best Guides" company developed really quickly: in 2011 we operated private tours of St Petersburg Russia and its suburbs, in 2013 we started to work in Moscow, in 2014 our guides already worked in Novgorod and since 2015 we organize tours in Baltic ports. Welcome to our beloved city St. Petersburg! Welcome to the capital of our motherland Moscow! Welcome to Russia! It's a great country with rich culture and fantastic history and our team of high professionals will do whatever is possible to make your visit interesting, exciting and unforgettable. Discounts for Cruise Critic members. Get 5-10% off for being a valid member of Cruise Critic. Special discount program for participants of our mini group tours! Senior citizens (65+) discount – 5% off. Package discounts. Please check our packages: White Days Tour Package and Shore Excursion Packages. The indicated price will already include a package discount. Happy tour! Best price possible! 199 US$ PP for a two day tour! Please find more detailed info concerning prices and current discounts on this page. Are you coming by cruise ship? – Do I need a visa to come to Russia? If you book the itinerary with us, you don’t need a visa! We will develop special Tour Tickets (so called "Blanket Visas") for each member of the group. These documents will allow you to pass passport control/immigration office without visas. – I was told I can't leave the ship in Russia unless I book my shore excursions with the cruise line. Is that true? According to the Russian law, you can book a tour with any officially registered tour operator in Russia. Best Guides is such a tour operator and you can see the registration number on the head page of our website or in the Federal Register of Tour Operators of Russia. – When is it worth to get a Russian visa? The only reason to get the Russian visa is if you want to spend time in the city on your own. Please notice that the receipt of the Russian visa is a rather troublesome process, and if you have just two days in St. Petersburg the price of the visa will be comparable to the cost of the tour service. Also St. Petersburg is not something you could call a DIY place. However, if you still decide that you need the visa, we are ready to provide the visa support documents for you. – What documents will I need to get off the ship in Russia? – your passports which must be valid for the dates of your visit, clean, readable and without any torn pages. – What is a Tour Ticket? Tour Ticket (so called "Blanket Visas") is a document which allows you to pass passport control/immigration office without visas. It shows your name, the Ship you are on, the dates and timing of your tour and the name and logo of the Company you have booked with (Best Guides). To provide you tour tickets, we will ask you to send us your passport details. They are not reflected in the tour ticket – we send them directly to the immigration office. – What information shall I provide to get my Tour Ticket? – dates of arrival in and departure from St. Petesrburg. – How shall I book a tour? – in case of a private tour you shall discuss your itinerary with our manager to develop the best version. – we will ask you to send us the information we need to deliver your tour tickets (your passport data). – check these documents to make sure they are correct – your names, the name of the ship, the dates and timing of the tour, the price. And please let us know if you received them and were able to print. When you have the confirmation and the tour tickets the booking is finished! – Do you require a deposit? Usually we do not require deposits. There are some exceptions though. If you book some options (like tickets to Mariinsky theatre or train tickets to Moscow) which have to be reserved and paid for long in advance and are non-refundable, a deposit will be required. We hope for your understanding. – When a tour is considered to be booked? A tour is considered to be booked when you have received the confirmation and the tour tickets from us. – Can you guarantee a tour if no other people sign for the same dates? Initially we guarantee tours in St Petersburg Russia for most but not all the ships. After you send us the request for the tour, our manager will give you all the relevant information. After we confirmed the tour (that is if we sent you the confirmation and tour tickets), the tour is guaranteed no matter how many people are in the group! – Can I include additional sight in a mini-group itinerary? Mini-group tours have quite an intensive itinerary and it is very difficult to add anything. Also this could cause inconvenience for the other members of your group. So if you would like to see something additional, we would recommend to book it separately as an individual evening program. However exceptions are possible and we are willing to help you see as much of St. Petersburg as you wish. For instance, quite often our guests ask us to visit the Synagogue. This is possible. We will take you there while the rest of the group would visit the St. Nicholas cathedral. So, if you have any special interests – please contact our manager with this question. If there is any possibility, we will try to find an individual solution in every case. – Will we see the impressionist collection during our Hermitage tour? Since 2015 the Impressionists collection of the Hermitage has been displayed in the General Staff building. This building is separated from the Winter Palace and the main Hermitage complex, so Impressionists are no longer included into the Hermitage main tour. If you have special interest in this collection and visiting it is of high importance for you, we can provide a guide-assistant who would take you to the impressionist collection. Please contact our manager to discuss the timing and conditions of this service. – What type of lunch will we have? You will have a typical Russian Cuisine set lunch (salad, soup, main course, tea/coffee and a little dessert) – with different dishes included into it each day. If you sign up for our Happy tour, you will have a set lunch on the first day only. On the second day we take you to a Shtolle café where they offer a choice of Russian Pirogi (pies). Set lunches are included into the price of the tour. As for Russian Pirogi lunch – it is not included into the cost of the tour and you will have to pay it on your own. We did it so that you could have a better choice option and have a selection and amount of pies to your liking. The price of such lunch is very reasonable and usually is equal to about $6-10 US. If you have any dietary restrictions – please let us know in advance and we will make appropriate changes in your menu. – Can I join a mini group if I travel with small children? There are no strict rules here, but please be advised that our mini-group tours in St Petersburg are quite intensive and last for the whole day. They are not child-friendly tours at all. Also if your children are unquiet (which is often the case with children we should admit) it may distract the other members of the group and disturb the guide. Taking into account the above we would recommend to book an individual tour where we can be flexible and which we can easily accustom to your children’s regime. – Can I join a mini-group if I have restricted walking abilities? We are happy to accommodate all our guests on our tours. However please keep in mind that our mini-group tours are quite intensive, last for the whole day and include an amount of walking. So before signing up for the tour please see the itinerary and decide if the group tour suits you. In many cases you may be more comfortable on an individual tour. Please contact our manager to discuss the options in your case and make the best choice. – How can I get additional discounts? We have special discounts for Cruisecritic members who post on Roll Calls. Please contact our manager or see our DISCOUNTS for details. You may be able to save up to 50% of the cost of the tour. In some cases it is even possible to get a free tour. – How can I find my guide upon arrival in St. Petersburg? We will meet you in the port terminal right after you pass the immigration office. Please look out for the sign with the name of the Company (Best Guides). If for some reason you can’t find us, you can call us using telephone number indicated in your tour tickets or in the confirmation. – What happens if the ship comes earlier/later than scheduled time? Unless you required for the late start of the tour (which is only possible with individual tours), we are always in the terminal as soon as disembarkation starts ready to start the tour as soon as the whole group passes the immigration office. If the ship is late – we will start the tour as soon as it arrives and do as many tours as time allows on the first day. We will try to compensate the rest on the second day. If the ship does not come to the port at all for some reason – the tour will be cancelled without penalty fee. – What are the payment methods? You can pay ether in cash (rubles, US $ or euro) or by credit card. – if you pay in cash and use dollars or euro – please make sure that the bills are clean and new with no marks or damage on them. We are sorry to say that but otherwise we have problems with them in our banks. In case of cash payment you also can pay directly to your guide to save time. – if you pay by credit card, it is better to use Master Card or Visa Universal. We do not charge any additional commission for card payment. We can accept the American Express cards as well, but in this case we will have to put a commission on the payment, so we do not recommend using it. – When shall I pay for the tour? Unless you prefer different, you may pay for your tour in the morning of the second day of the tour. If it is a one-day tour, you can pay in the afternoon. Depending on the tour route your guide will either take you to our office or our manager will come to your van. In case of cash payment you also can pay directly to your guide just to save time. As a rule we don't ask for any deposits. The only exceptions are theater tickets and railway/airplane tickets. – Shall I leave gratuities to my guide and driver and how much? Gratuities to the guide and the driver are not included in the cost of the tour. According to Russian standards, the recommended amount will be around 15% of the cost of the tour service. As a rule it is 10% to the guide and 5% to the driver and it is better to give it separately. Gratuities will be happily accepted in any currency: US $, euro or rubles. However all the gratuities depend on how much you were pleased by the service and remain solely to your kind will! – Do you have discounts for children/students? – children of 5 and under come free. The exception are special children tours. – schoolchildren (6 to 16) have discounts for museum entries. They differ for each tour depending on what museums are included into the itinerary. – students have same discounts as schoolchildren, but they may be asked to show the international ISIC card at the entrance. So please make sure you have the ISIC with you, otherwise we can't guarantee the student discount. – Do you have discounts for senior citizens? Yes, we do. Though according to our museum regulations, Senior discounts are only provided to Russian Citizens, our Company provides Senior discounts on our own behalf. Usually it is 5% of the cost of the tour, but may differ in some cases. This can’t be summarized with the other discounts. Please check with our manager for details. – Do you have early bird discounts? Yes, we do. Please check our website for details. – Is it possible to get any additional discounts? – How can I reduce the cost of a private tour? If you are interested in a certain package or in your own custom-tailored itinerary, you may try to find travel companions who would share your interest through the Roll Calls of your ship on Cruisecritic forum. If you find 2-4 people to join you, the per-person cost of the tour will become significantly less. If you form a group of 7 people and more, we will offer you an additional personal discount. Please contact our manager for details. – What does early admission mean? Some big museums such as The Hermitage or Grand Palace in Peterhof provide a possibility of so called early admission. This means admission before the general opening of the museum. It costs extra but helps to optimize the tour schedule. As a rule, this time is less crowded, but pay attention that it wouldn’t give you a guarantee of entrance without waiting in a line. – Will we wait in a line in front any of the museums? We always reserve the entrance tickets/vouchers in advance and do our best to plan the museum entrances for the time when it is less crowded and we usually are able to avoid waiting in line. Please notice that in high season we can’t give you a 100% guarantee and sometimes you will have to wait for the entrance for 10-15 minutes. Catherine Palace in Pushkin is the place where the situation is the worst and very often we have to wait in line there. So if you have a tough schedule or come on very busy days, we would recommend to avoid going there and include something else instead. Pavlovsk Palace or Grand Palace of Peterhof are no less interesting and beautiful than Catherine Palace. – Which summer residence – Peterhof or Pushkin (Tsar's village) – to choose? If you need to choose between these two sights, we would recommend to go to Peterhof. Interesting as it is Catherine Palace in Pushkin is the place where the situation with crowds is the worst and the lines at the entrance are the longest. So if you have a tough schedule or come on very busy days we would recommend to avoid going there and include something else instead. Peterhof with its numerous palaces and wonderful Fountains is no less interesting and beautiful than Tsar's Village. If you have special interest in this collection and visiting it is of high importance for you, please let us know in advance. In case of a private itinerary, we will include it into the main tour. In case of flat rate (mini-group) tour we can provide a guide-assistant who would take you to the impressionist collection. Please contact our manager to discuss the timing and conditions of this service. – If we sign for your mini group tours, what type of lunch will we have? If you sign up for our Happy tour you will have a set lunch on the first day only. On the second day we take you to a Shtolle café where they offer a choice of Russian Pirogi (pies). Set lunches are included into the price of the tour. As for Russian Pirogi lunch – it is not included into the cost of the tour and you will have to pay it on your own. We did it so that you could have a better choice option and have a selection and amount of pies to your liking. The price of such lunch is very reasonable and usually is equal to about 6-10 US$. – I have dietary restrictions. Will it be possible to accommodate them? Yes, cafes and restaurants we cooperate with are very flexible and ready to accustom their food to your needs. If you have any dietary restrictions – please let us know in advance and we will make appropriate changes in your menu. – If I have a private tour, will it be better to pre-book lunches with fixed menu? This depends on the size of your group and on your preferences. With couples and small family groups you may be flexible. Just tell your guide about your preferences and food restrictions (if any) and the guide will find a nice place to stop for a meal on the spot. If there are more than 8 people in your group, we would recommend to pre-order your lunches, or else it may take more time than your tour schedule allows. – What is the cost of a typical Russian lunch? If your lunch is not included into your itinerary, your guide will help you to find a good local cafe or restaurant and then your lunch will be another interesting experience of Russian culture. The cost of lunch in a "pie" café "Shtolle" where you can try great variety of traditional Russian pies will be around 8$-10$. In this cafe credit cards are not accepted and you can pay only in rubles. The cost of lunch in a Russian restaurant will be 15-30 US$. Pay attention that in general cafes and restaurants in Peterhof and Pushkin (Catherin’s Palace) are more expensive than similar places in the city. – What type of vehicle shall we expect? All our vehicles are new, air-conditioned, clean and comfortable. Mercedes or equal level. For each group we provide a van with a few extra seats for you to have some more space. – We travel with a baby. Could you provide a special baby seat? Yes, we provide baby seats at request. Please let us know in advance if you need it. – Can you provide a wheelchair? Yes, we provide wheelchairs at request. Please let us know in advance if you need it. – Will I need Russian rubles? In most cases you can do without Russian rubles. Most souvenir stores and museum shops accept cards and/or US dollars or Euro. Street venders will take any kind of cash. Gratuities are gladly accepted in any currency. So you may only need rubles if you are planning to have lunch in some little cafe, buy ice cream on a street or use public transport. There you may face a situation that only rubles are accepted. If you are planning any of these, you need to have some rubles with you. The recommended amount would be about 1000 rubles per person a day. If the ruble sum is not significant and you have no rubles with you, our guide can pay for you and we can later add it to your bill. – Where is the best place to withdraw Russian rubles? You can withdraw rubles in any ITM in the port terminal or in the city. Your guide can always recommend some ITM situated conveniently on your route. Please make sure your Bank knows you are in Russia and planning to use your card here. We face situation when our customers' banks block transactions on Russian territory quite frequently. – Can I use credit cards to buy souvenirs/lunches? Visa and MasterCard are accepted almost everywhere in Russia. American Express is not – so please do not plan to use it here. There are still some places, like little shops or small cafes which accept only rubles, but they are not many. Please make sure your Bank knows you are in Russia and planning to use your card here. We face situation when our customers' banks block transactions on Russian territory quite frequently. – In what currency would it be better to leave gratuities? Gratuities are gladly accepted in US dollars, Rubles or Euro. In Russia you can only give them in cash. Because of some specialties of our accountant system Russian companies can't add them to the bill. We hope for your understanding. – Are small children allowed on you mini group tours in St Petersburg? There are no strict rules here, but please be advised, that our mini-group tours are quite intensive and last for the whole day. They are not child-friendly tours at all. Also if your children are unquiet (which is often the case with children we should admit) it may distract the other members of the group and disturb the guide. Taking into account the above we would recommend to book an individual tour where we can be flexible and which we can easily accustom to your children’s regime. – What tour would be better to book if we travel with small children? This depends on how old your children are. If they are less than 5, you can book a general tour with not a very intensive itinerary and just avoid including overcrowded places, such as Catherine Palace in Pushkin or Grand Palace in Peterhof. – Do you have particular professional guides who are trained to work with children? Yes, we do. Our children friendly tours are conducted by guides who were specially trained to work with children. – What is your cancelation policy? You may cancel your program without any penalty fee upon e-mail notification up to 5 days before the tour. If you cancel in less than 5 days before the tour, some museum tickets (the Hermitage, Catherine’s Palace) may be non-refundable. If you cancel on the day of the beginning of the tour or just do not show up for the tour, then in addition to the price of non-refundable museum tickets you will have to pay a penalty fee equal to 3 hours of operation time of guide and driver. Please contact our manager to check the details. If you have a question which wasn't answered in this file, please send us a message. – Do I need visa to come to Russia? To come to Russia you do need a Visa. – for some countries which have an agreement with the Government of the Russian Federation about visa-free entry (for example Israel or Brazil). The list of these counties is limited and updated every year. Please check the information about your particular Country. – for passengers coming by Peter Line Ferry. They can get a 72-hour visa-free entry to Russia right on board. Please check the details with Peter Line while booking the Ferry. – How can I get a Russian visa? To get a Russian visa you have to apply to the Russian Consulate or Embassy nearest to your residence place. We can provide the Visa support documents for your application. – Do you provide visa support documents? Congratulations! The booking is finished! – I am not from a cruise ship, can I still join one of your mini groups? Yes, you can. We will appoint the pick-up place either in the lobby of your hotel or in one of the hotels in the city depending on what is logistically more convenient. – When is the tour considered to be booked? The tour is considered to be booked when you have received the confirmation from us. – Where shall we meet our guide? Our guide will have a sign with the name of the Company (Best Guides) and your name on it. You may pay ether in cash (rubles, US $ or euro) or by credit card. If you pay in cash and use dollars or euro please make sure that the bills are clean and new with no marks or damage on them. We are sorry to say that Ð but otherwise we have problems with them in our banks. In case of cash payment you also can pay directly to your guide to save time. If you pay by credit card, it is better to use Master Card or Visa Universal. We do not charge any additional commission for card payment. Unlike the majority of Russian Companies, we can accept the American Express cards as well, but in this case we will have to put a commission on the payment, so we do not recommend using them. Unless you prefer different, you may pay for your tour on one of the days of the tour. Depending on the tour route you may either come to our office or pay right in the car/van. Your guide will recommend the best solution for your itinerary. In case of cash payment, you also can pay directly to your guide to save time. Gratuities to the guide and the driver are not included in the cost of the tour. According to Russian standards, the recommended amount will be around 15% of the cost of the tour service. As a rule, it is 10% to the guide and 5% to the driver and it is better to give it separately. Gratuities will be happily accepted in any currency: US $, euro or rubles. However all the gratuities depend on how much you were pleased by the service and remain solely to your kind will! – Do you have any discounts for children/students? Yes, we do. Please check our manager for details. – How can I reduce the cost of my tour? – exclude the costly options from the tour (the most expensive options are the Catherine Palace in Pushkin, the Grand Palace of Peterhof and the Yusupov Palace). In high season the first two are also the most crowded places, so replacing them with just a visit to the park or including one of the alternative palaces instead (the Monplaisir or the Cottage of Peterhof or Pavlovsk Palace) will only make your tour more pleasant. – optimize the transport expenses using the car to get to distant sights only and for the panoramic city tour. Our managers will always advise you how to optimize the cost of your particular itinerary. – if you want to see as much as possible at a better price, you can also join our mini-group tours (please see our shore-excursions page). – What does it mean early admission? Some big museums such as the Hermitage or Grand Palace in Peterhof provide a possibility of so called early admission. This means admission before the general opening of the museum. It costs extra but helps to optimize the tour schedule. As a rule, this time is less crowded, but pay attention that it wouldn’t give you a guarantee of entrance without waiting in line. – Will we wait in line in front any of the museums? – If you come to St. Petersburg in summer, we would recommend to go to Peterhof. It is Catherine Palace in Pushkin where the situation with crowds is the worst and the lines at the entrance are the longest. So if you have a tough schedule or come on very busy days, we would recommend to avoid going there. Peterhof with its numerous palaces and wonderful fountains is no less interesting and beautiful than Tsar's Village. – If you come to St. Petersburg in winter, we would recommend to go to Pushkin to visit Catherine Palace. Two reasons for this: reason one is that the Catherine Palace won't be so crowded and you won't have to wait in a line. The second reason is that fountains in Peterhof won't be operated and almost all the sculptures will be covered. If you have special interest in this collection and visiting it is of high importance for you, please let us know in advance. We can either include it into the main tour, or provide you tickets which are valid for the whole Hermitage Complex, so you will be able to visit the Impressionists collection on your own after the main tour of the Hermitage is over. – Could you provide a special baby seat? – Could you provide a wheelchair? – Yes, we provide wheelchairs at request. Please let us know in advance if you need it. – What tours would be better to book if we travel with small children? – if your children are less than 5, you can book a general tour with not a very intensive itinerary and just avoid including overcrowded places, such as Catherine Palace in Pushkin or Grand Palace in Peterhof. – Do you have particular guides who are trained to work with children? Yes, we do. Our children friendly St Petersburg tours are conducted by guides who were specially trained to work with children. – if you cancel on the day of the tour or just do not show up, then in addition to the price of non-refundable museum tickets you will have to pay a penalty fee equal to 3 hours of operation time of guide and driver.